What does it take to create a wax figure for Hollywood Wax Museum? More than what you might think! With seven artists and more than three months, a lot of time and work goes into replicating the stars you love into lifelike wax figures. We start with a simple lump of clay, some measurements and a handful of photos. A clay sculptor then molds the clay into a remarkable likeness of the star, right down to every mole and wrinkle. Next, we start our work with wax. A mold is created using the clay head and face, and a molten mixture of natural and petroleum-based wax is poured inside to form a rough waxen image. We then begin to whittle down the wax to reveal appropriate wrinkles, fine lines and other unique markings of each forehead and face. The masterpiece is completed by adding the details of the eyes, ears, nose and lips. Then, it’s time to bring the wax to life. Appropriate color is applied to the skin and features and hair is inserted one strand at a time. Meanwhile, the wax artist creates hands that not only look anatomically correct, but will work just right with the figure’s stance and hand gestures. Of course, the wax figure isn’t complete without a great costume and props. So, before they’re added to the museum floor, our tailor creates one-of-a-kind outfits and we search for props that will add to the celebrity’s presence. No, it’s not an easy process, but we love the final results! 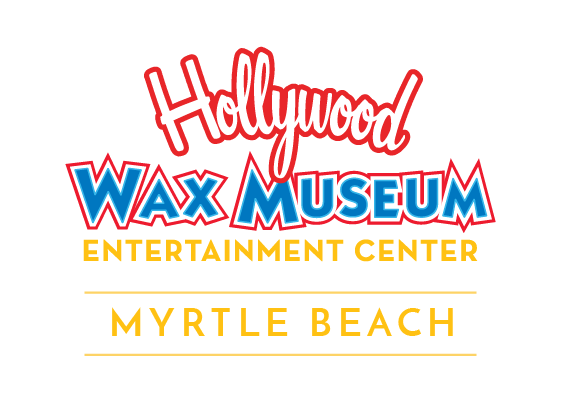 We hope you do too and that after your next visit with us in Myrtle Beach, you’ll share your selfies with our stars on social media and tag us (#hollywoodwaxmuseum) so we can enjoy the smile we put on your face. You might even end up as our Fave Fan Post on the Hollywood Wax Museum website!